Having to clean after construction and refurbishments works is time-consuming and exhausting. We specialise in professional cleaning of indoor and outdoor areas after extensions, conversions and building work. Our team of cleaners are supplied with powerful and effective machines as well as with quality products for sanitising. 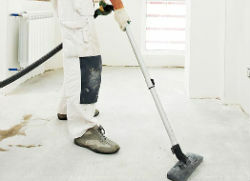 They can provide the after builders cleaning which you need in or near Brockley, SE4, done at reasonable price. Our services are affordable, reliable and implemented by qualified cleaning technicians. You can count on them to sanitise your kitchen, bathroom, bedrooms, living and outdoor areas. Our cleaning technicians will remove all cobwebs from behind the appliances and corners, dust all pieces of furniture inside and out. The fridge, cooker and the rest of the kitchen appliances will be rid of dirt, grease and food leftovers. Our employees will remove the limescale from the sinks, wash and polish the tiles, sanitise the appliances. The bedroom and living area will be hoovered, rid of dust and construction wastes, the windows will be sanitised internally. 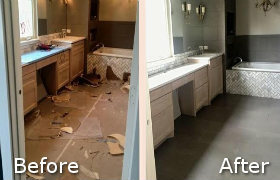 Use our extensive after builders cleaning services which we provide in Brockley, SE4 to ensure the impeccable and healthy state of your property after renovation. Our cleaning workers will make sure the cement dust, plaster and building wastes are completely removed from your property. The rubbish will be taken out of the exterior of the estate. Our staff can pressure wash the patios, porches and external areas to remove hard deposits and paint splatters from them. Whether you need help in the sanitising of your rooms after home improvement or building work, you can rely on our employees to provide it. The after builders cleaning which we provide can be used by the residents of Brockley, SE4 any day and time in the week.